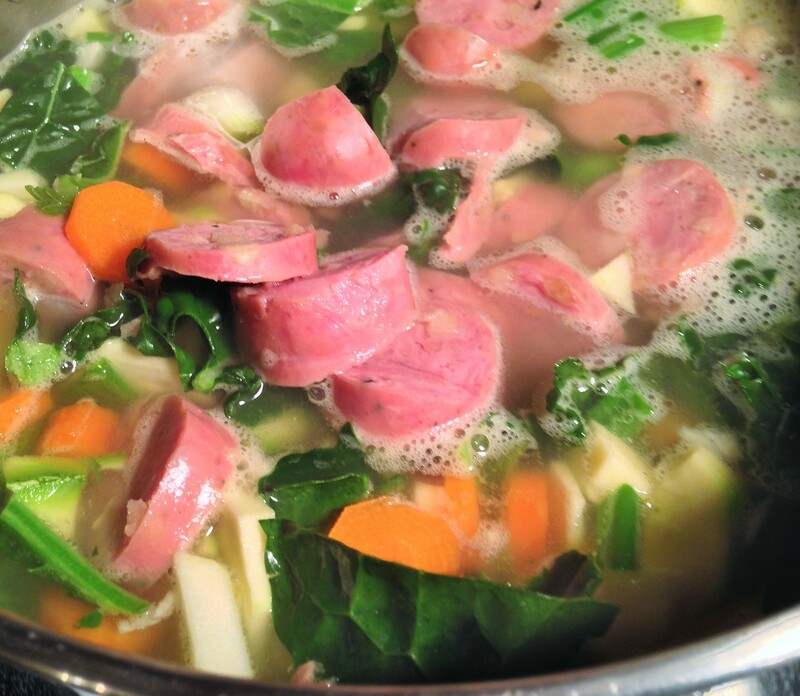 Make this nutritious soup when you’re needing comfort food. It includes some root vegetables, good sources of important daily vitamins. Preparing the vegetables to go in the soup may even help bring stress levels down. 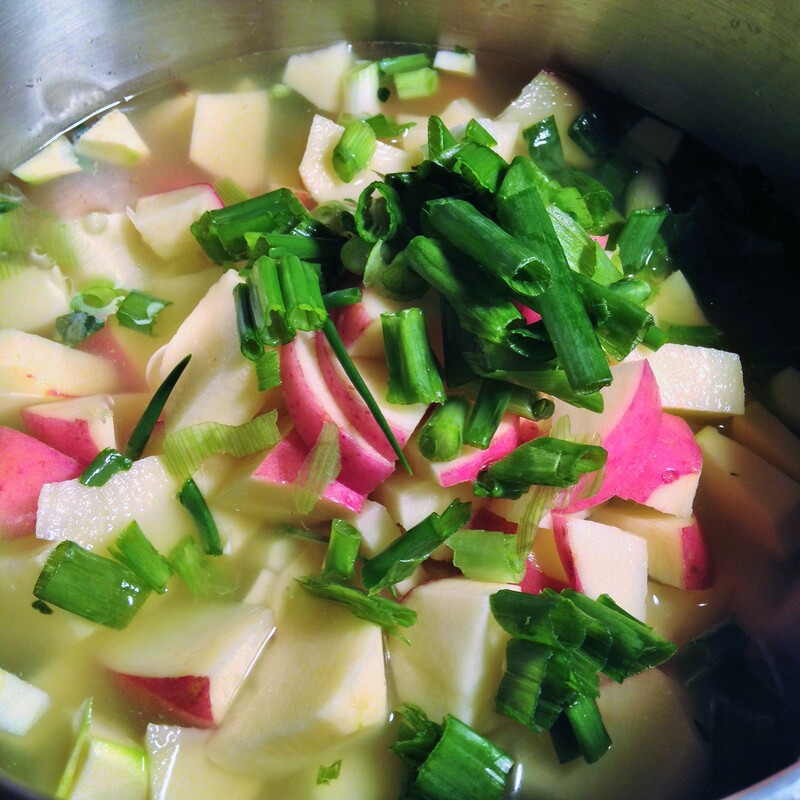 A good comfort food, this soup’s ingredients provides most vitamins. Add water and broth to pot. Turn burner to high until boiling and then cook on low for approx. 40 minutes. Peel, slice, and dice vegetables and add to liquid. 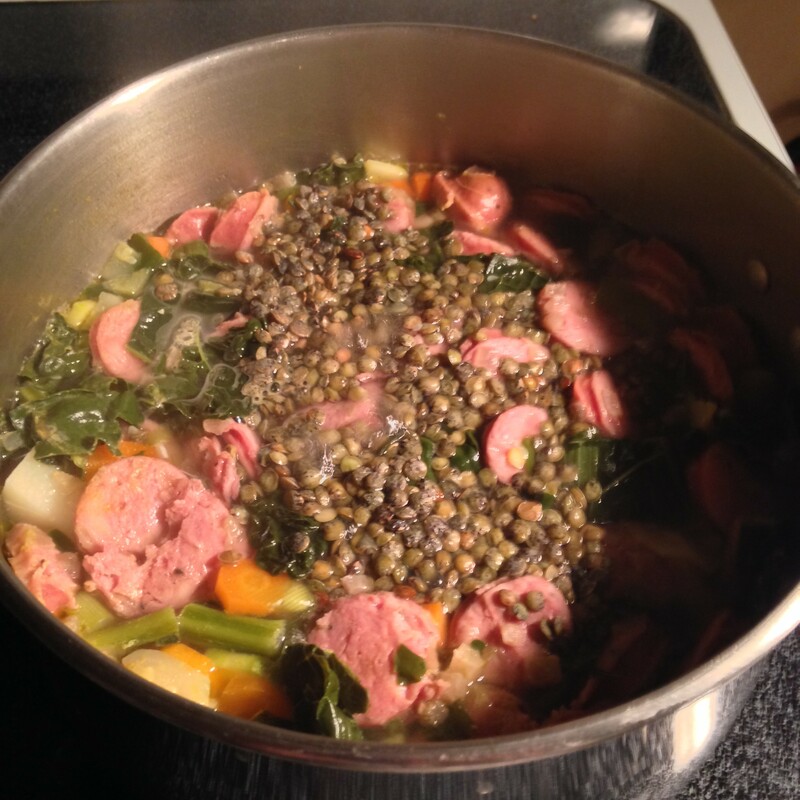 Add sausage and lentils last, after vegetables have already started boiling..
Soup looks delicious. The colors in your photos are very bright. Did you get a new camera? Thank you! No, not a new camera – it’s the lighting.